I’m amazed how hard it is for a business to get feedback on the difference their donations, grants or volunteering hours have made to the community. I understand why… both businesses and community organizations are so incredibly busy that after a contribution is awarded, the final and critical step of finding out what the community group did with the contribution is often difficult. In this blog post I talk about the process we developed to help businesses like Coca Cola Hellenic and Virgin Trains get valuable feedback from their community contributions. Some of these business now see over 75% of their support projects returning feedback, whereas previously they spent hours on the phone or emailing and achieved under 10%. I have to say, it’s really exciting! 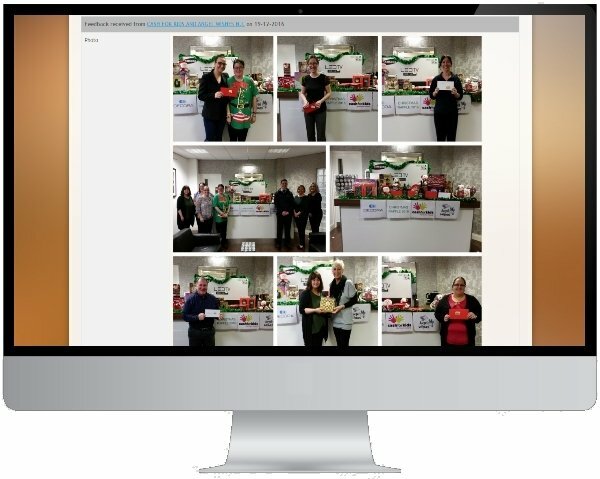 As a bit of background, our Thrive CSR software helps businesses manage their donations, grants or volunteering. We realized that while our system was saving clients tonnes of admin time, what they also needed was more feedback from the community they were supporting. Too often CSR staff would talk of the frustrations caused by giving something to a community and never hearing back. CSR staff wanted to collect stats, stories and even photos or video of the difference a contribution made. They wanted to use this to showcase their great community work; understand their employee engagement; measure social value; or to evaluate the use of their grants. We have worked closely with community organizations and businesses over the last year to find the right way to elicit this feedback. It’s win/win because the more quality information the community groups share with a business, the more likely they are to get additional support in the future. What we found is that community organizations will provide valuable feedback, if the process is as low friction as possible. So we built a system that automatically follows up community organizations after they have received a donation, grant or been the recipient of volunteering hours. Over 6 months trialling we have found the best way to do this is via a series of emails and text messages. These need to be perfectly timed to prime the community group on the feedback required and then to give them a low friction way (via text message or using a mobile app) to report their feedback directly to the business. The results, have even surprised ourselves! Our customers are receiving feedback from up to 75% of recipients, with no effort at all on their part. And even better than this, when their feedback comes directly into their Thrive CSR portal, managers have a choice of how to use it; share directly to their web, intranet or social channels at the click of a button; incorporate into social value calcs, or add it to monthly or annual reports to showcase their amazing community impact. It’s really exciting to see! So if you aren’t getting valuable feedback from your community giving, consider implementing an approach as we’ve described above. If you would like to know how our Thrive CSR software could help chat to us today.